We are the leading Manufacturer and Wholesaler of excellent quality Steel Rod, Steel Shafting, Linear Motion Bearing Shaft, Tie Rods for Plastic Molding etc. 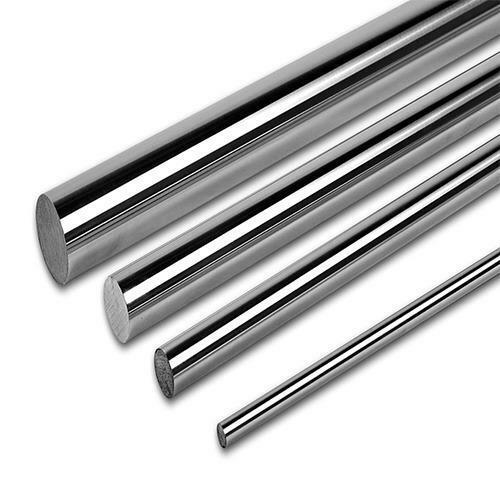 We are counted amongst as the foremost manufacturers and wholesaler of a premium quality range of Hard Chrome Plated Rod & Hydraulic Piston Rod, Induction Hardened Steel Shaft, Tie Rods for Plastic Molding, Linear Motion Bearing Shaft and Peeled and Ground Steel Rod. The offered products are manufactured using high quality raw material and advanced technology as per the set industry standards. Further, these products are highly appreciated by our clients for their features like durable finish standards, high strength, robust construction, corrosion resistance and fine finish. Our valuable clients can avail these products from us in different specifications as per their specific needs.